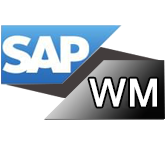 What is SAP WM tutorial? SAP stands for “Systems, Applications and Products in data processing”. It was founded by 5 IBM employees in 1972. SAP WM (Warehouse Management) offers consistent, automated support across the functions of stock management in your warehouse. The main objective of SAP WM tutorial is to control the movement and storage of materials within a warehouse. This tutorial is designed for the professionals who seek to learn the basics of SAP WM. To learn this tutorial you need to be familiar with SAP GUI required.And also having knowledge about warehousing concepts and basic experience of ABAP Language will be an added advantage.